The garden is gradually growing this spring. I am hopeful this year will be a better gardening year with the changes that have been made. I hadn’t planned on planting the tomatoes and tomatillos so early in the season, but they outgrew the containers I had them in. It was either plant them or watch them die for sure in the containers. Should we have possible frost again, I’ll cover them with something to protect them. I started some backup plants from seeds this past Sunday, and once they germinate, they grow fast. So if these tomato and tomatillo plants do end up dying, I will have backups. This bed so far: borage, marigolds, coneflowers (bulbs planted), garlic, tomatoes, leaf lettuce, butter lettuce, carrots, radishes, green onions, chives, rosemary, thyme, oregano, and parsley. 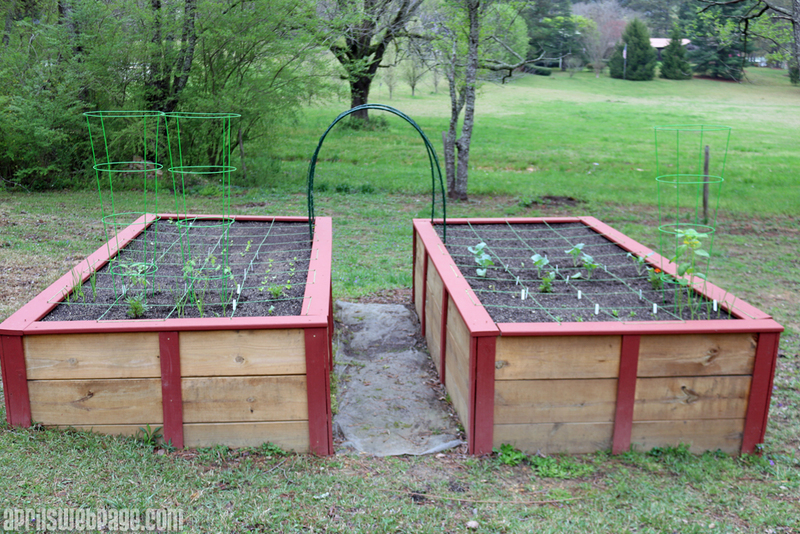 This bed so far: coneflower (bulb planted), spinach, garlic, tomatillos, kale, marigolds, borage, and broccoli. 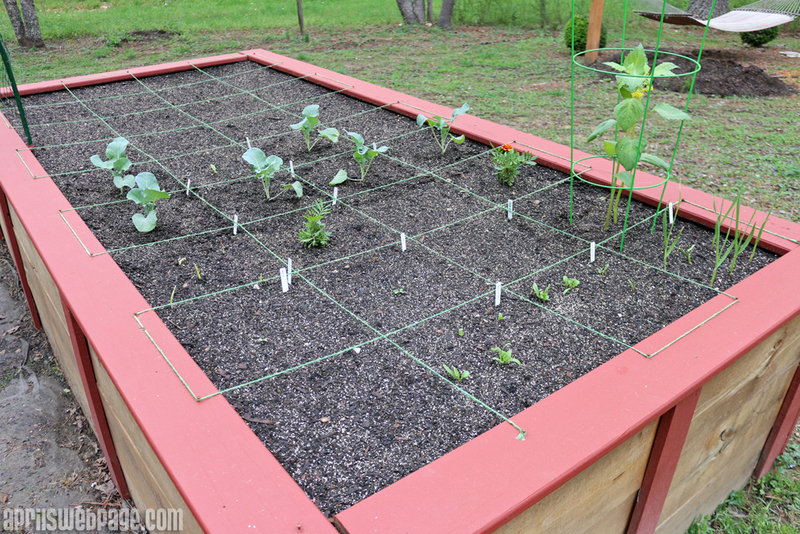 I wound up changing the layout for this square foot garden after I thought I’d already finalized the plans, which I had originally posted here. I’d also, spur-of-the-moment, decided to rip out the raised herb garden I had in one corner. That meant I had to rework the design just a little. This is the final layout I decided on. 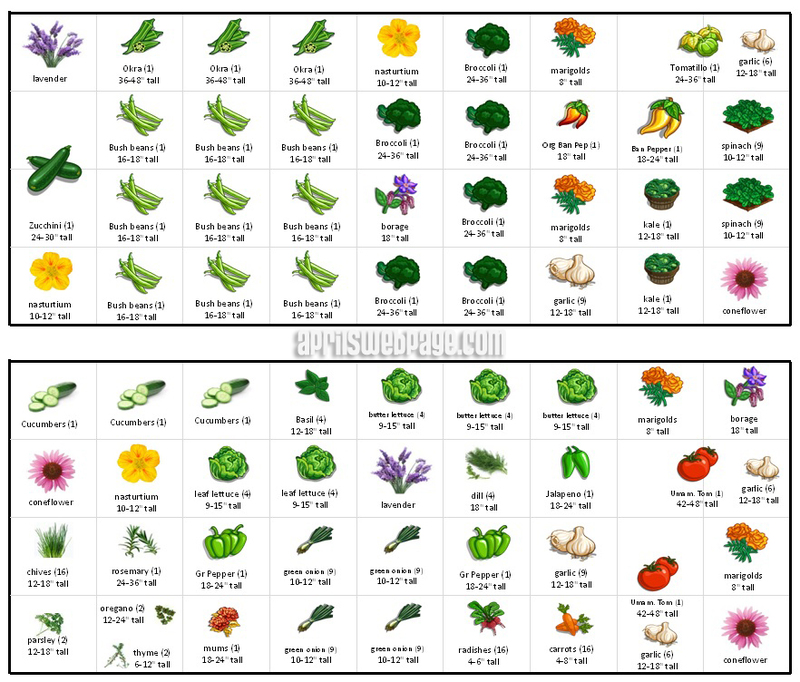 This year, I am attempting to grow quite a few vegetables for the first time and am both excited and nervous! The radishes seem to be doing the best out of the new crops so far. I am just planting one square, 16 radishes total, since Alex hates them. I am staggering each row of radishes by 2 weeks so all 16 don’t mature at the same time. So far, I’ve just got 2 rows planted. The carrots seem to be such slow growers. 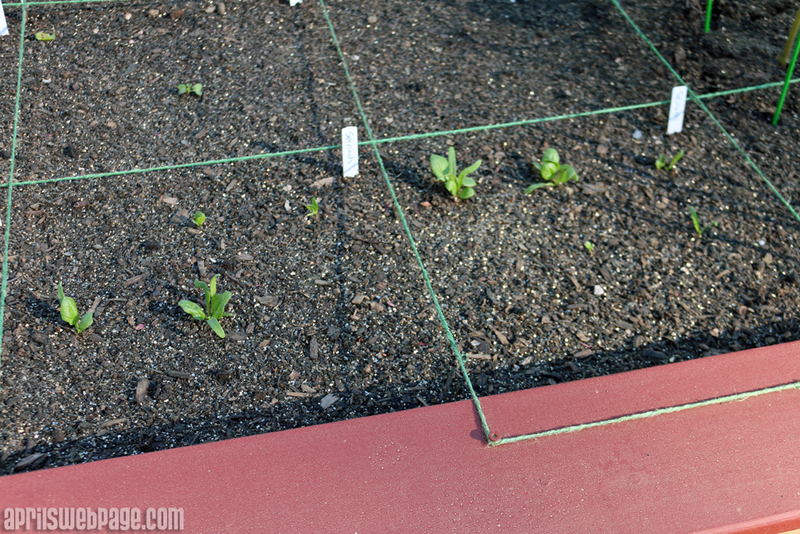 I am also just doing 1 square foot of carrots, 16 total, and am staggering each row like with the radishes. 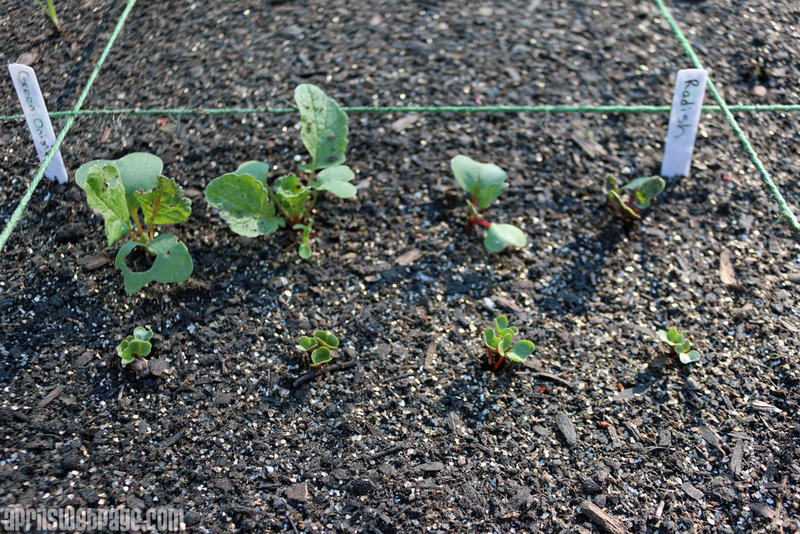 These little tiny seedlings were sown on March 8th. 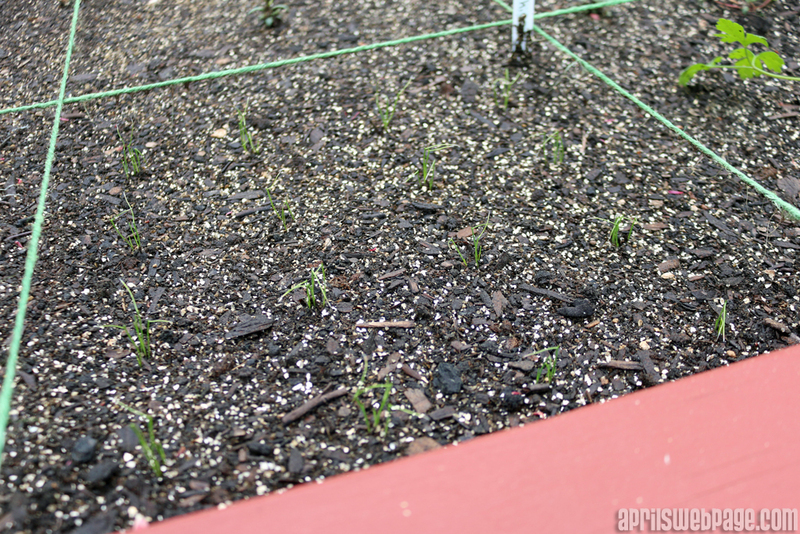 Here are the little baby chives I started from seeds on March 8th. One square foot of chives, 16 plants total. 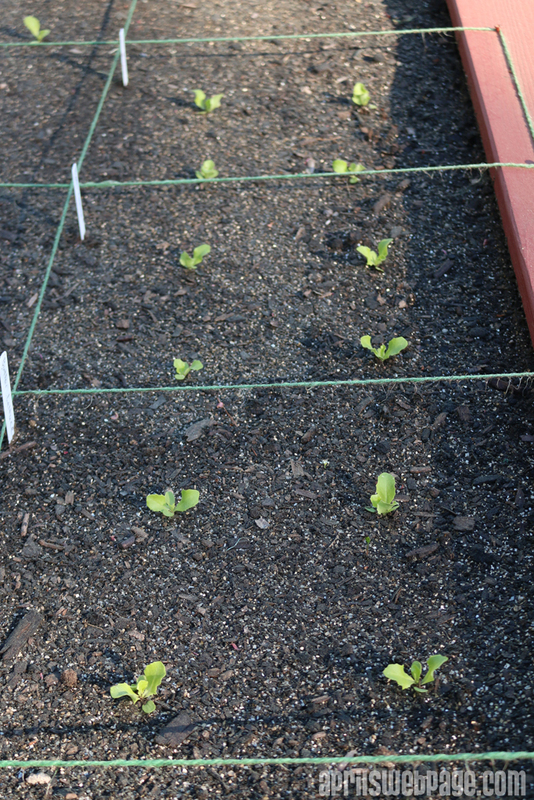 I sowed the lettuce seeds directly into the garden on March 8th, and they are slowly growing. I expected them to be a bit bigger by now. 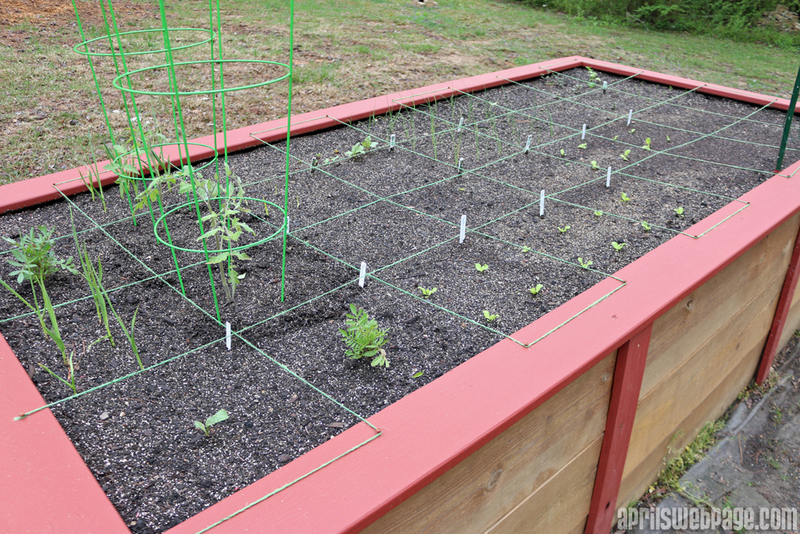 Next year, I will start lettuce, kale, and spinach indoors ahead of time and then transplant to the garden. The spinach is the only thing that has not germinated well. 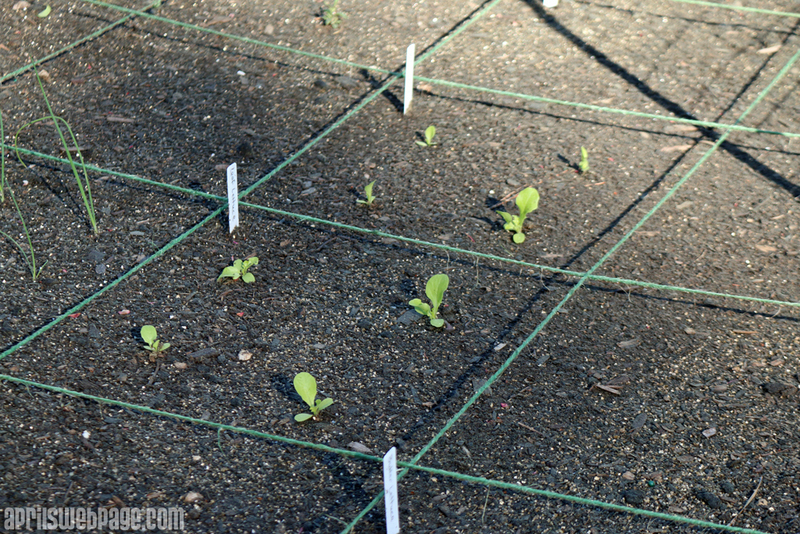 I sowed 9 plants per square, and only about half of them have germinated and started growing. Some of the leaves are actually starting to look like spinach leaves. This past Sunday, I went ahead and sowed 9 more spinach plants indoors, so hopefully they will germinate and grow faster for transplanting. My hope with the lettuce, spinach, and kale is to make fresh salads from the garden rather than buying a mix at the store. 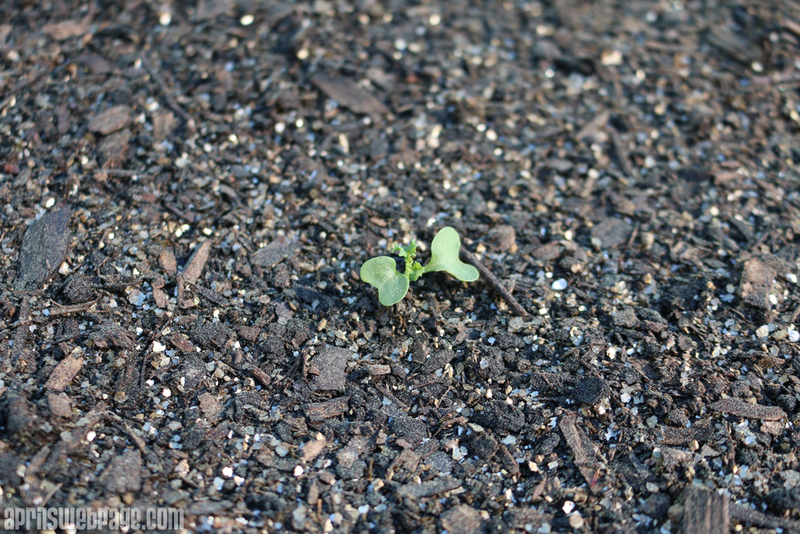 The kale seedlings haven’t done much. I don’t know if it’s just not the right growing conditions or what, but they’re still tiny. These seeds were sown on March 8th directly into the garden bed as well. 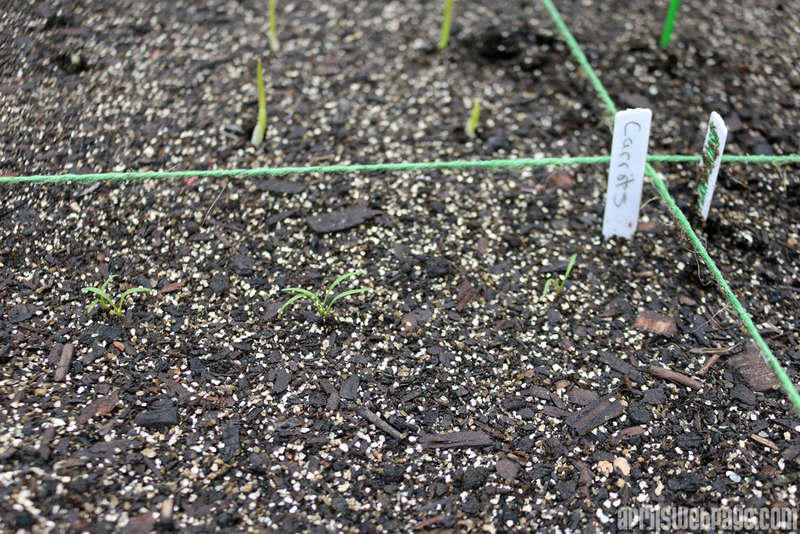 They germinated well, but they haven’t grown much since then. 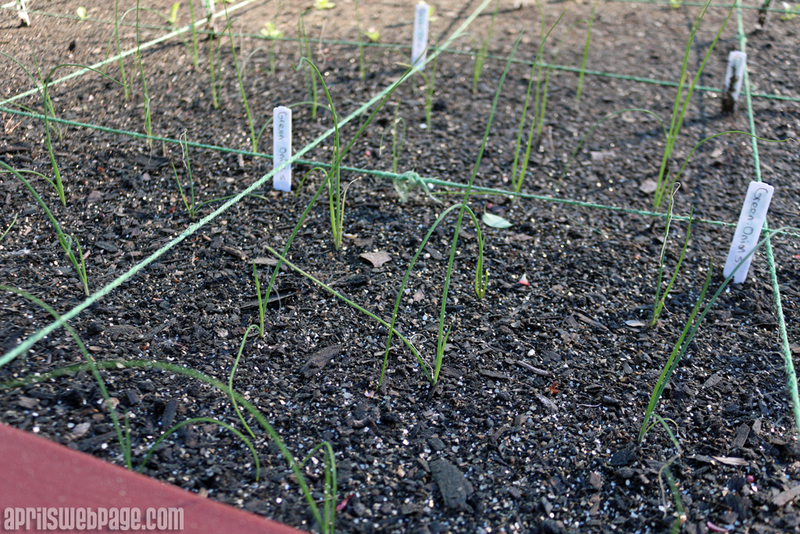 Last week I transplanted the green onions I’d started from seeds in February, and the 4 squares (36 onions total) seem to be doing well. 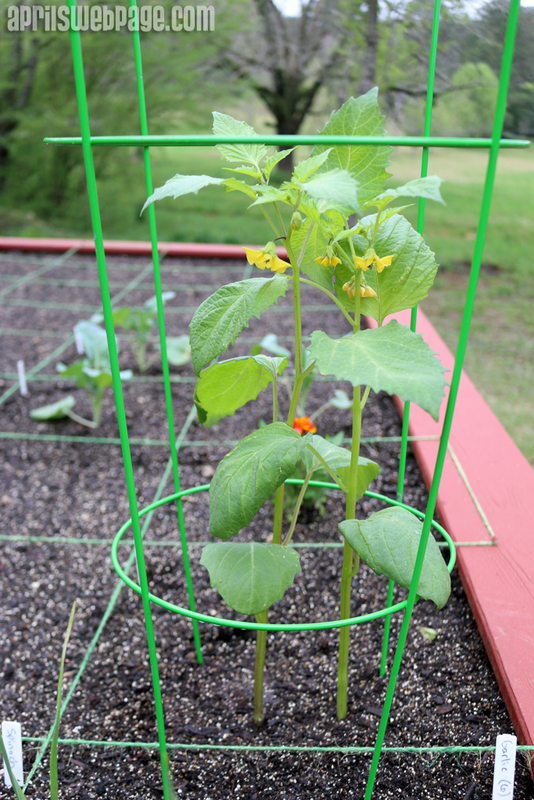 I originally was going to plant just one of the tomatillo plants I’d grown but after looking up some information, it was recommended to plant 2 for pollination. I just planted 2 of them together, so hopefully this works out. This is my first attempt at growing tomatillos. And the two tomato plants I started from seeds. They’re supposed to be resistant to the fungal wilts I think were destroying my previous tomato plants, so fingers crossed! 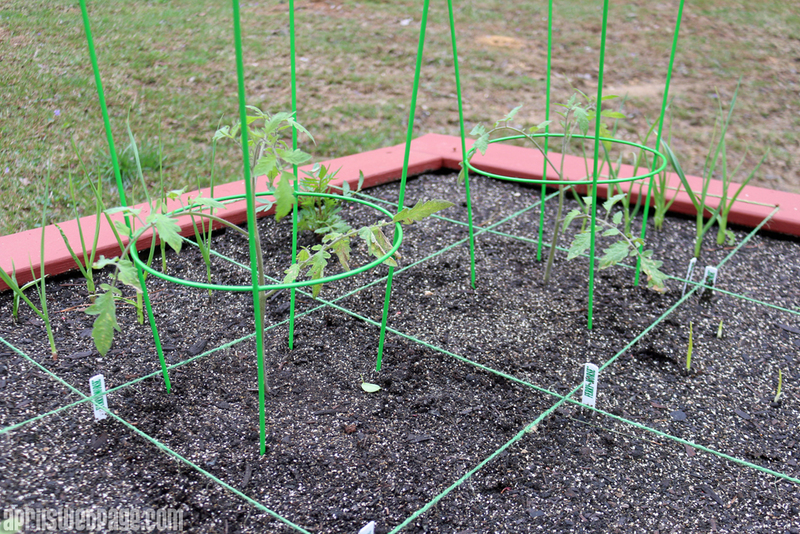 I need to buy some mulch this week and mulch around the tomatoes and other larger plants. © 2013 - 2018, Life of a Gemini.